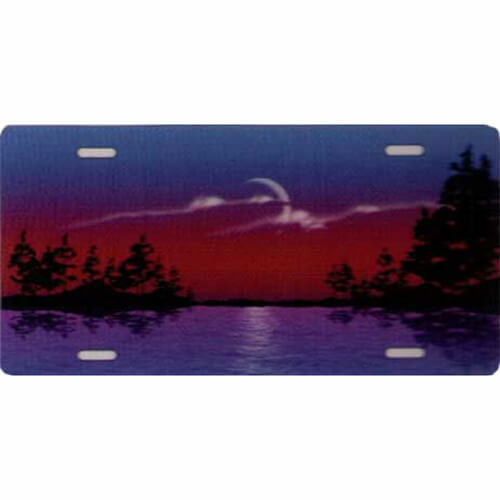 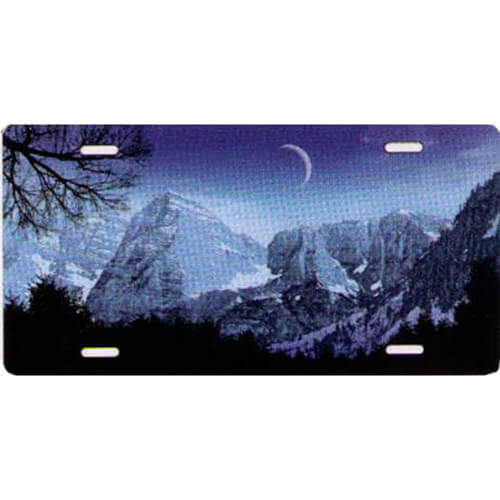 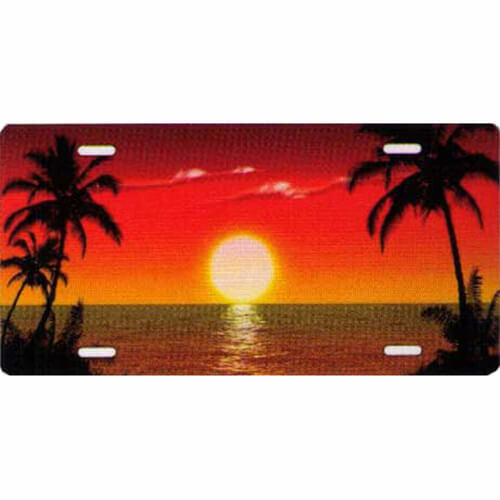 Beach and landscape themed novelty license plates. Ocean wave with palm trees. 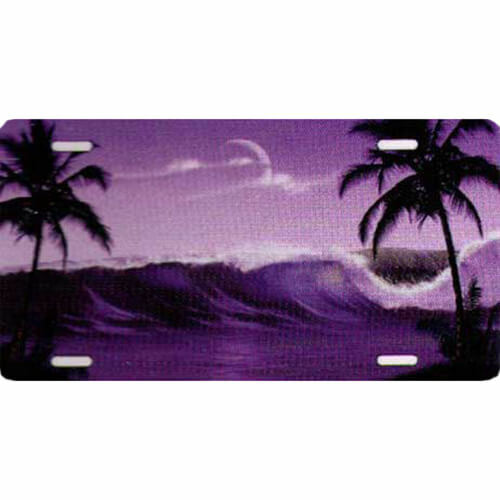 Ocean wave breaking and palm tree silhouettes on both sides, with a purple sky. 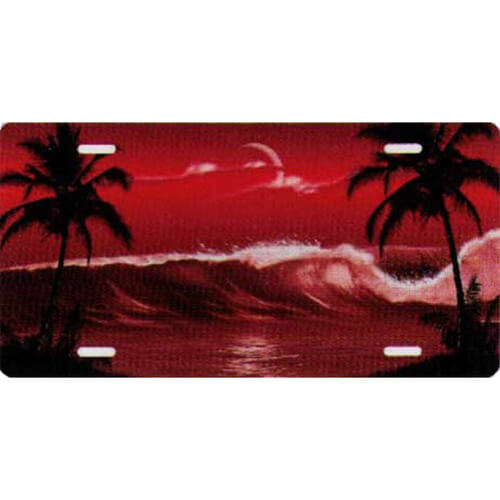 Ocean wave breaking and palm tree silhouettes on both sides, with a red sky. 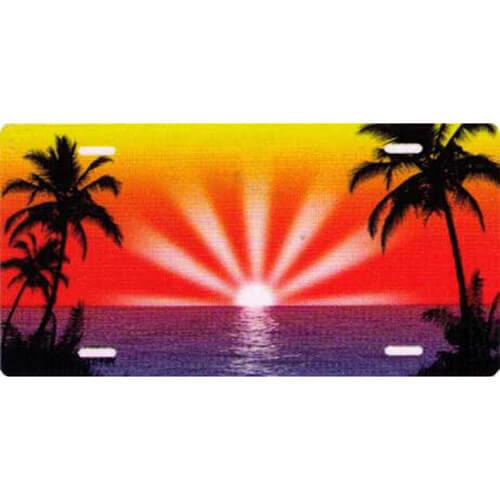 Calm ocean with sunset and palm trees. 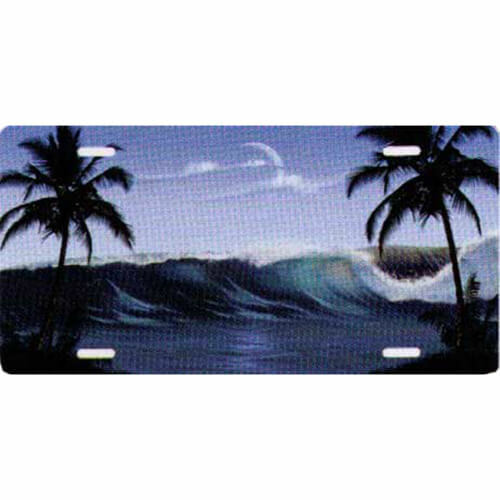 Ocean wave breaking and palm tree silhouettes on both sides, with a blue sky. Ocean wave breaking and palm tree silhouettes on both sides, with a fuchsia sky. 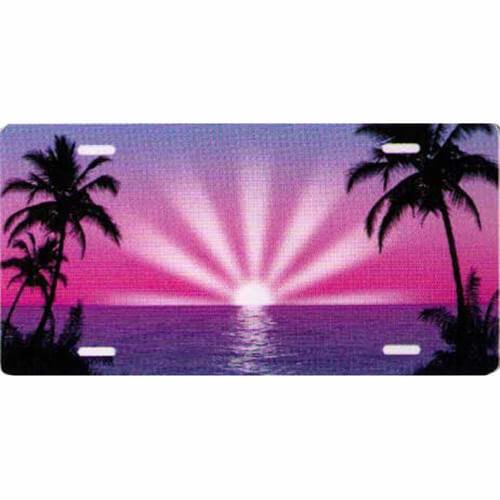 Ocean sunset and sun rays on a purple sky. 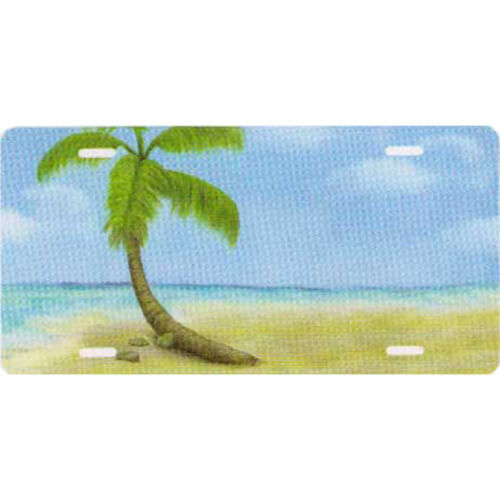 Palm tree on sandy beach. 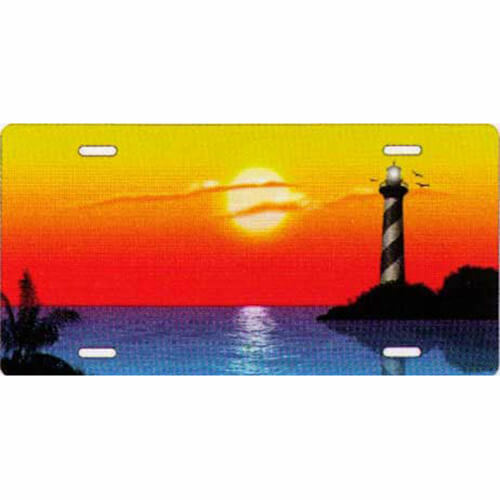 Calm ocean sunset with sun rays on orange sky.